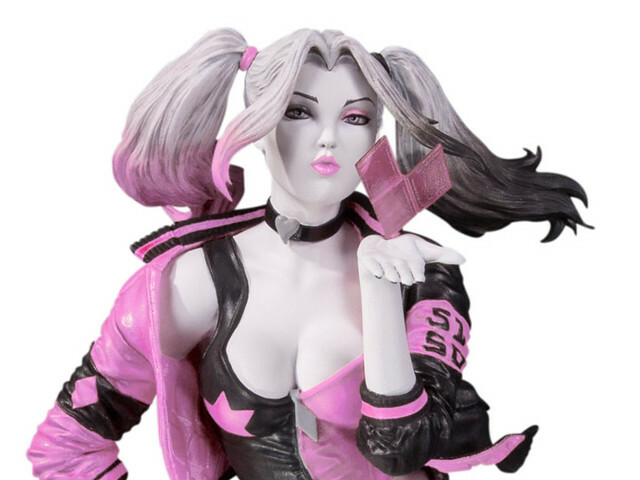 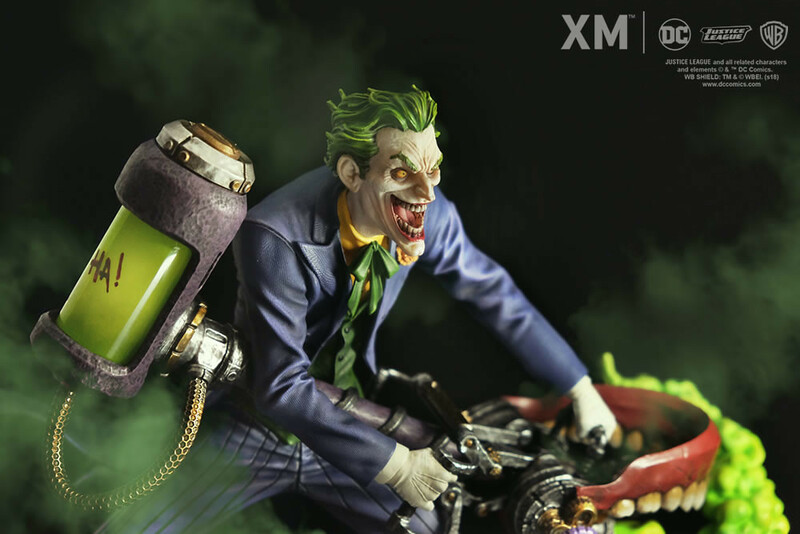 Joker DC Rebirth has joined the Premium Collectibles series from Singapore's XM Studios! 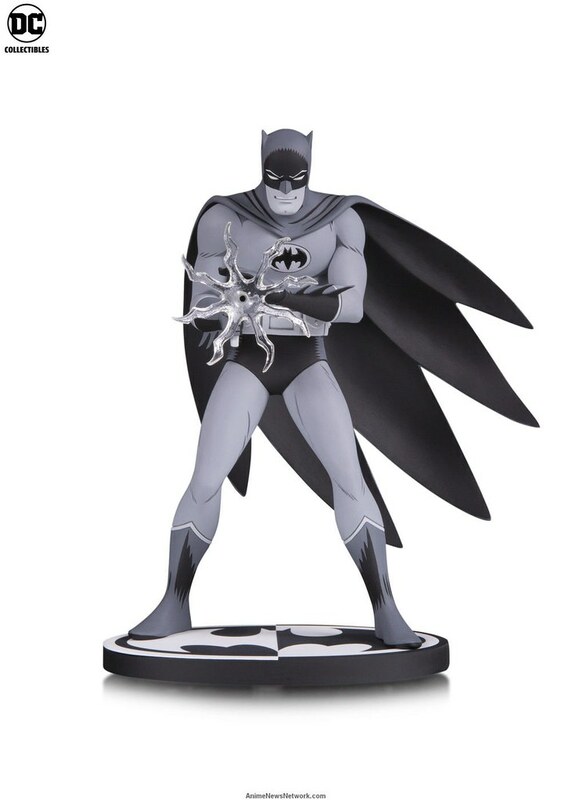 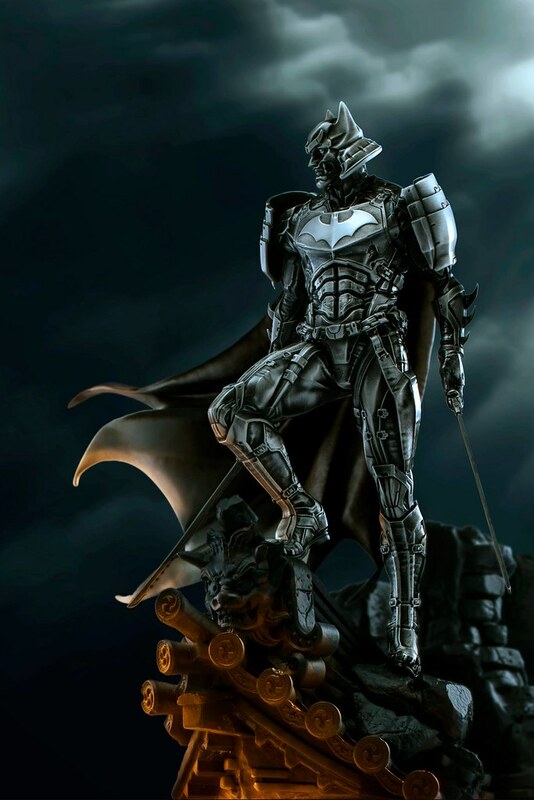 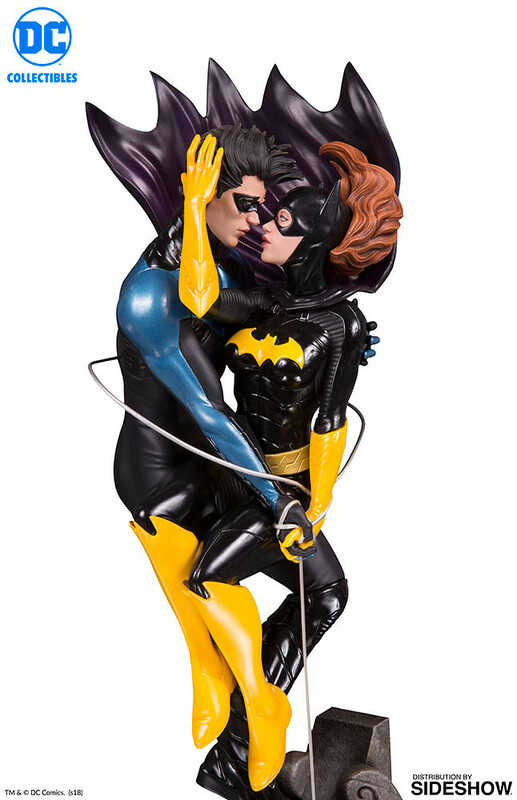 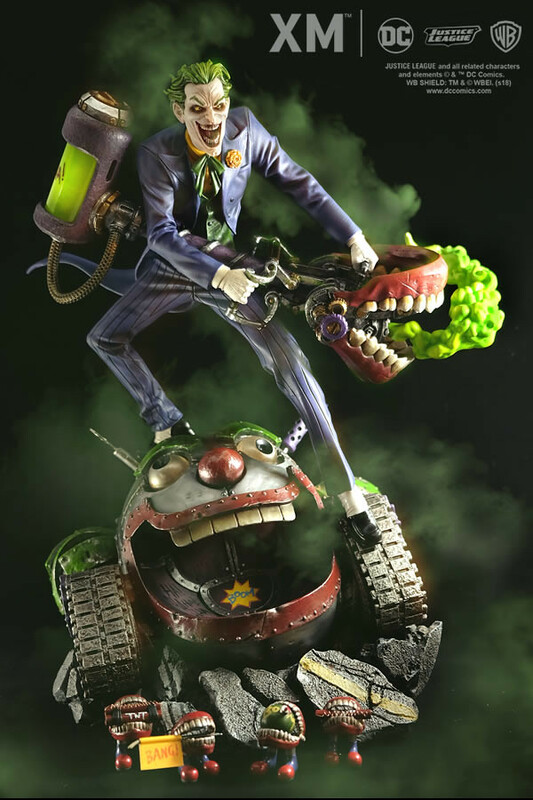 The 1:6 Clown Prince of Crime can be pre-ordered starting July 25 at SGD $599.99 retail. 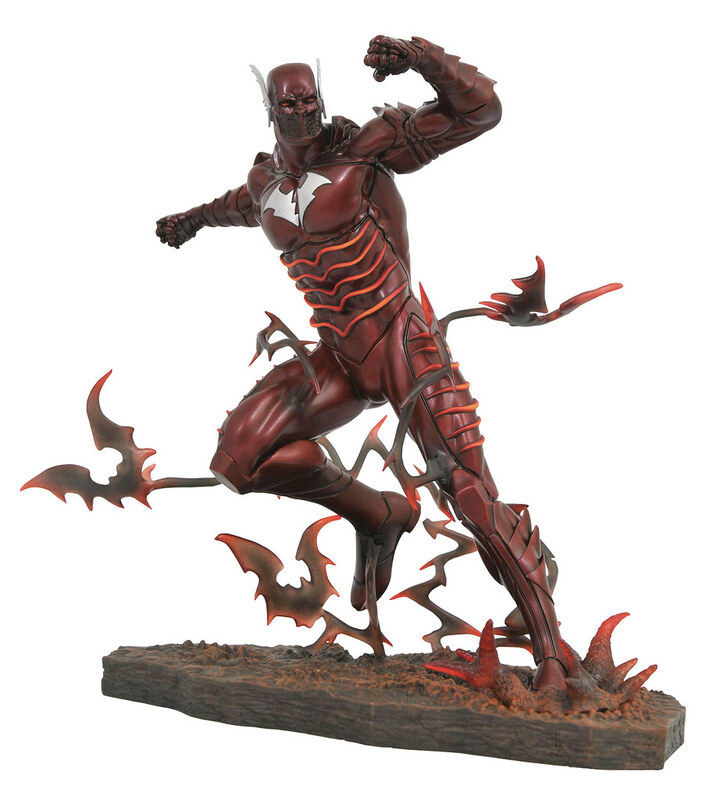 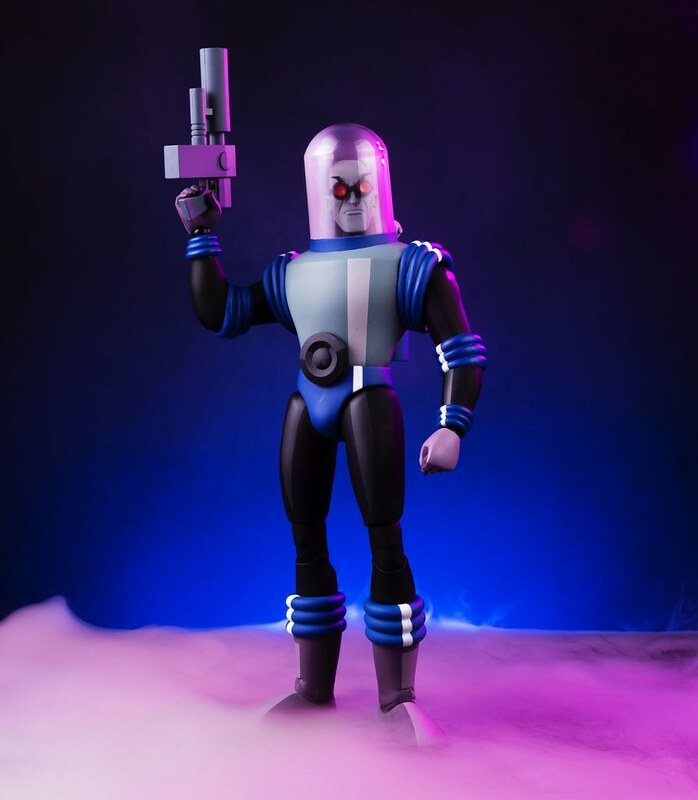 At 1/6 scale, this collectible is a slight "downsize" from the typical 1/4 scale XM Studios monsters. 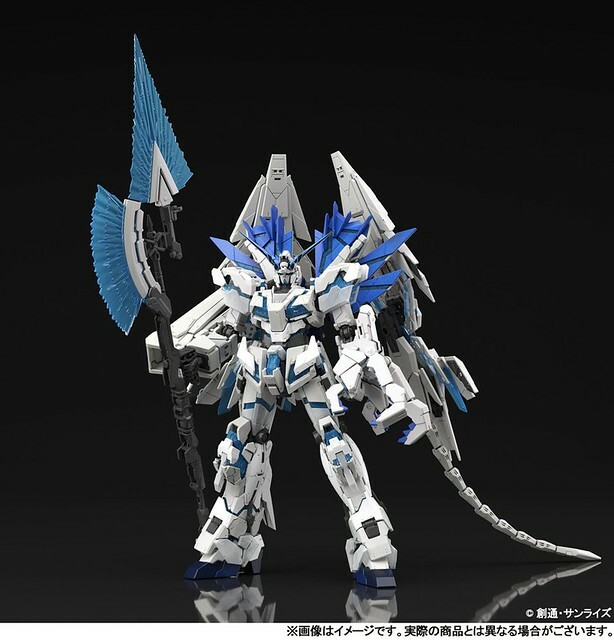 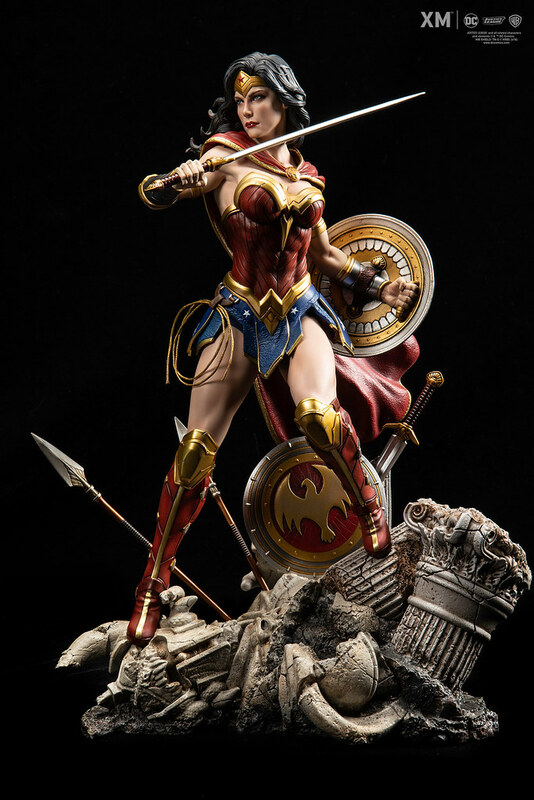 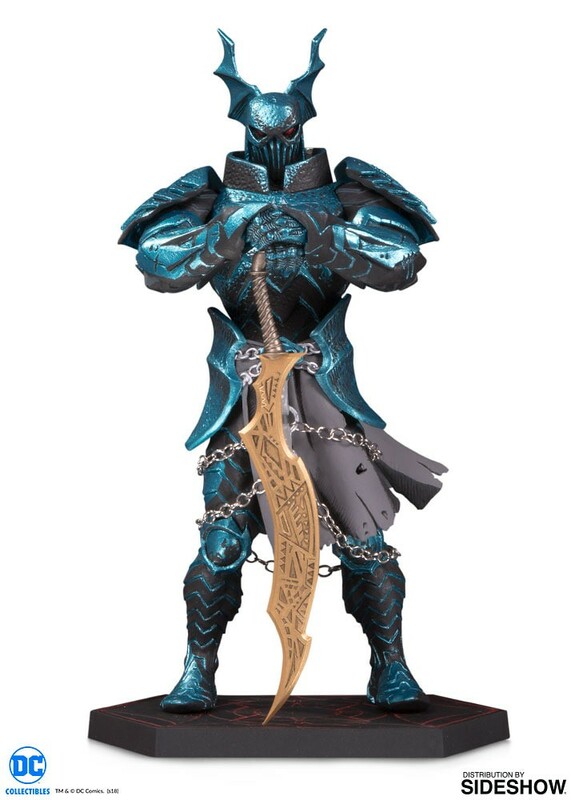 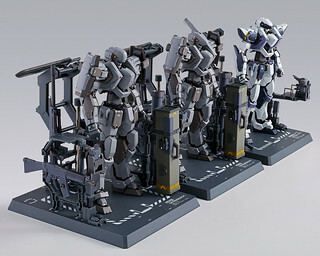 But a more compact statue comes with a friendlier price tag as well. 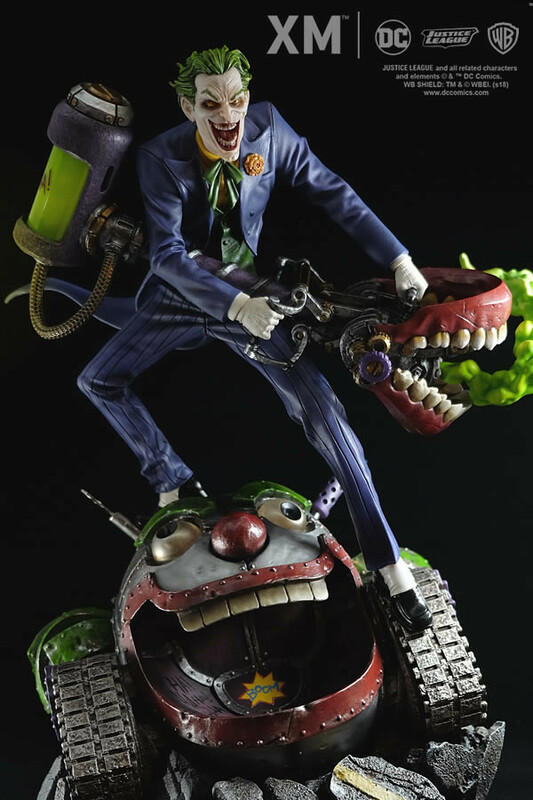 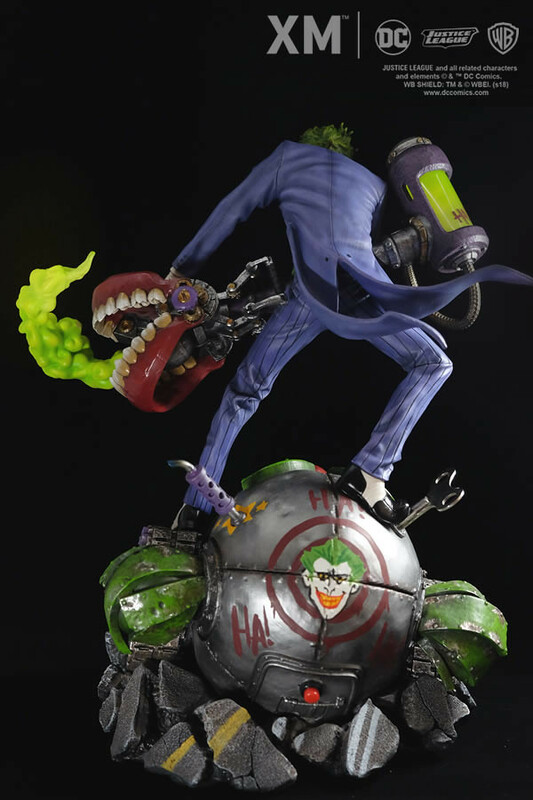 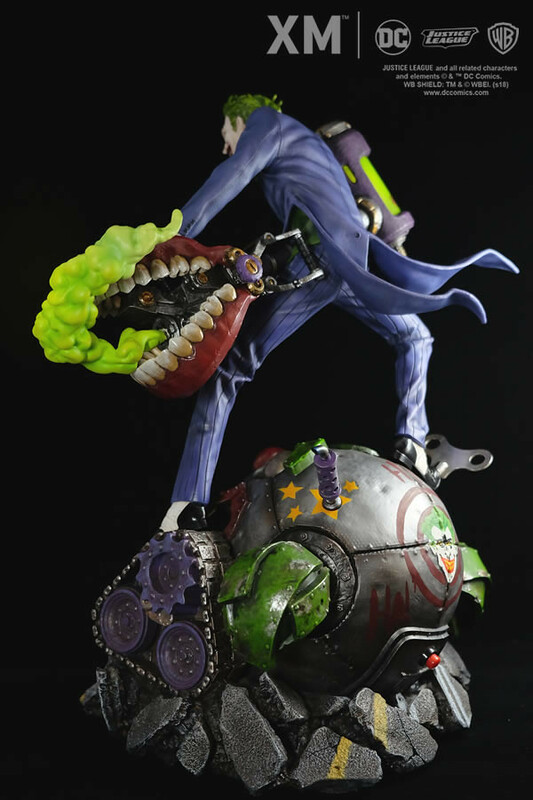 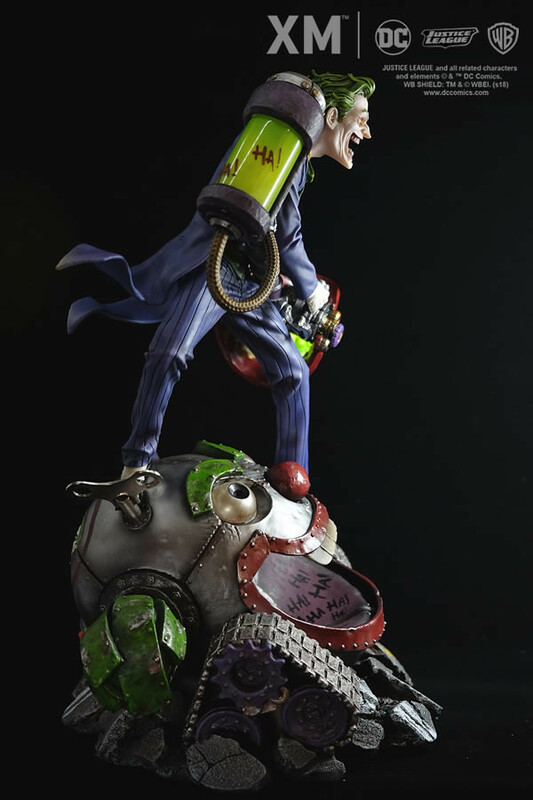 The Joker - DC Rebirth 1:6 Statue measures 14.7" (37.5 cm) tall, depicting the Gotham supervillain in a classic green vest and purple tuxedo with a new deadly contraption in hand. 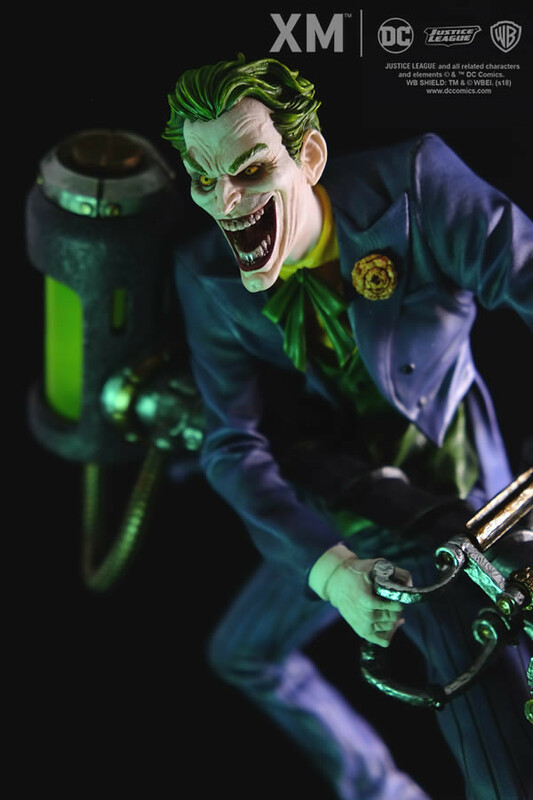 This Joker takes after the comics with yellowed eyes and teeth to go with the chemically-altered green hair and white skin! 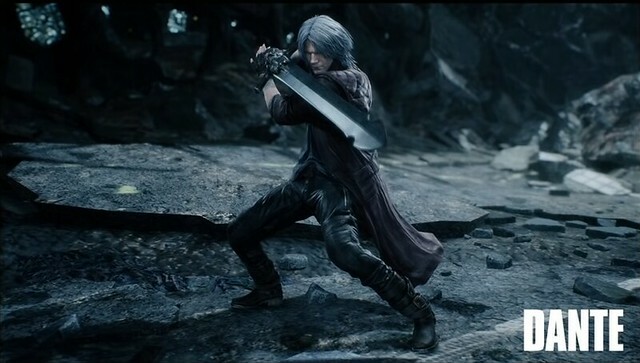 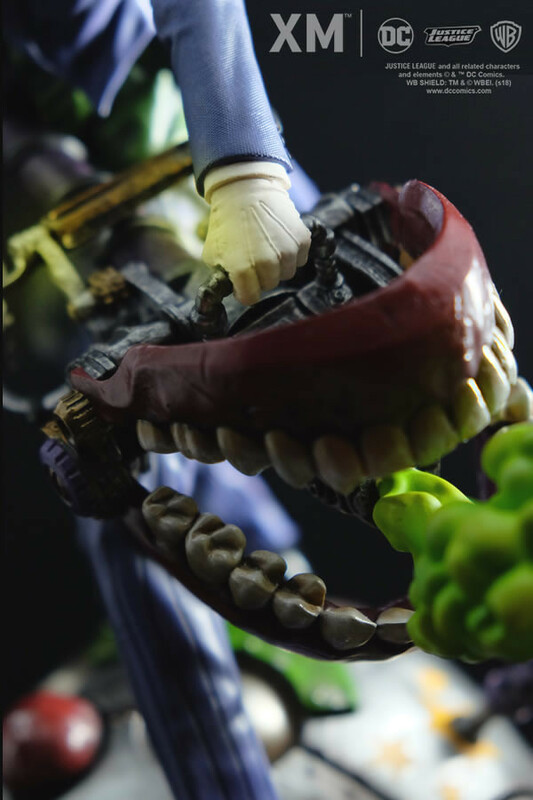 In typical character fashion, the Joker's Joker Venom weapon is stylized as a giant Chomper comprised of nozzle and canister with realistic gas effects. 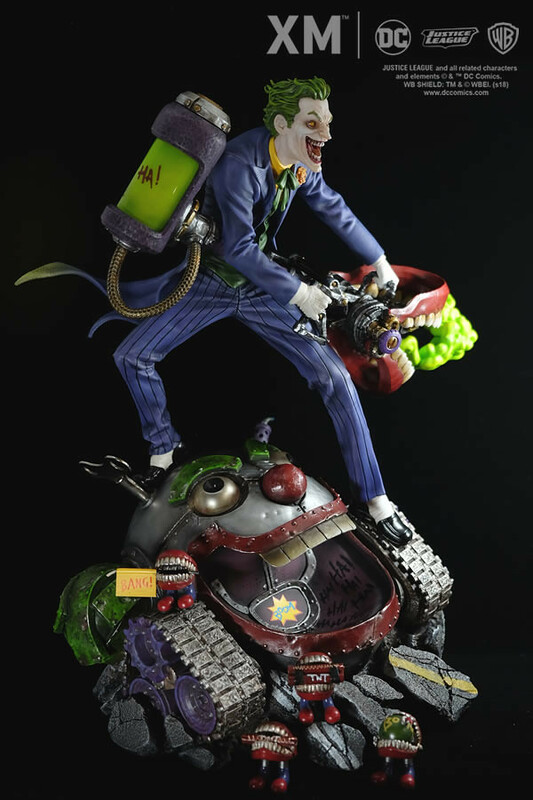 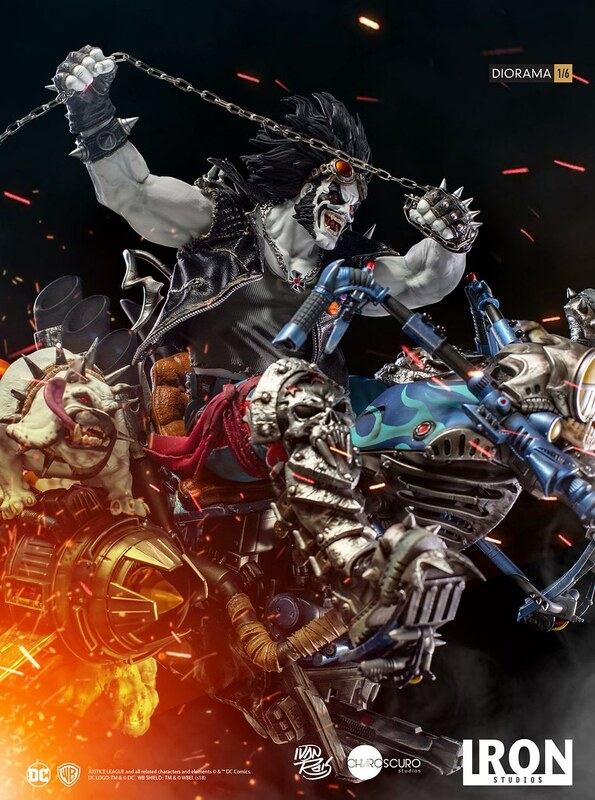 The display base is a massive Joker tank, loosely welded together with iron plates and treads, destroying the pavement as it rolls around Gotham City. 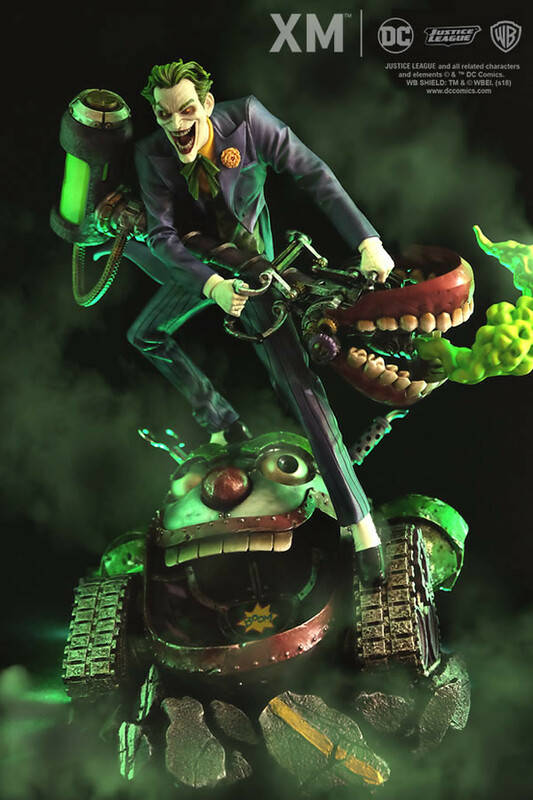 The tank itself is plastered with clown art details, including large "HAHA" letters and a Joker head target. 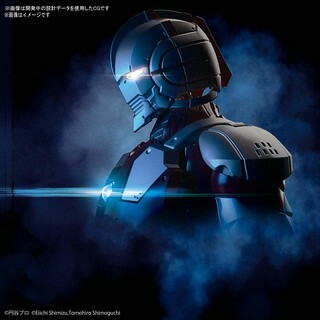 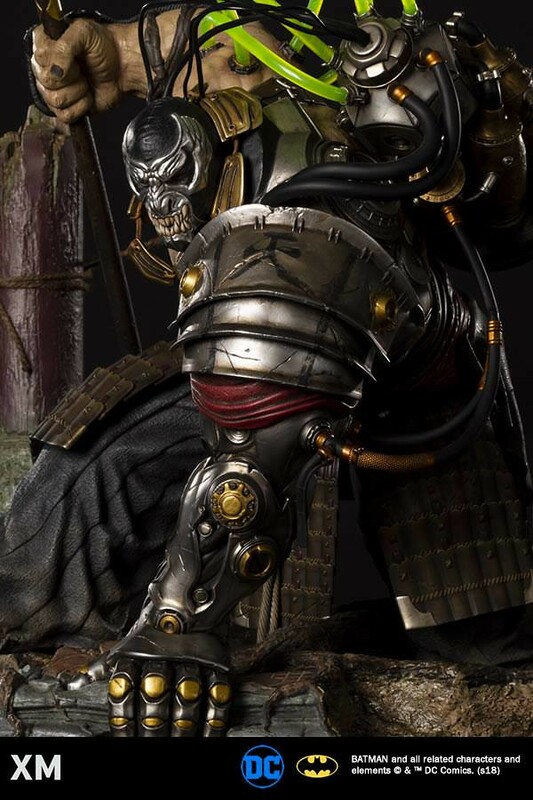 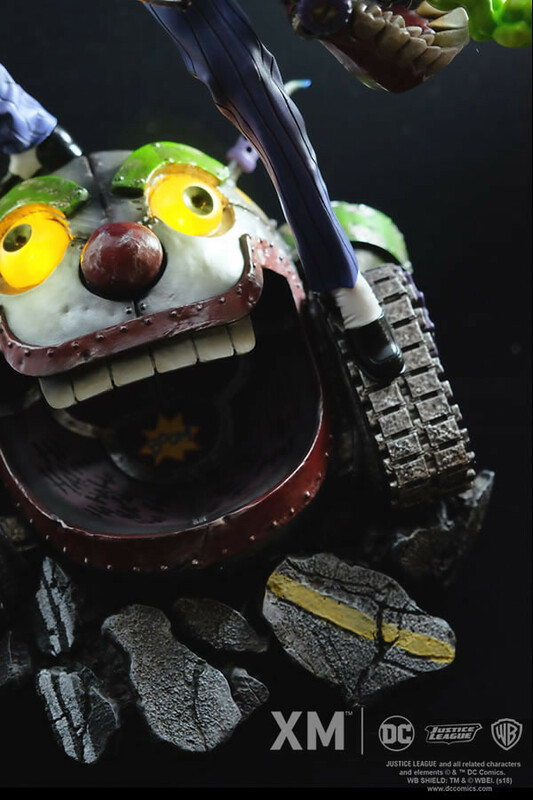 Additionally, the tank's eyes can light up, which coupled with realistic battle damage makes this one menacing statue! 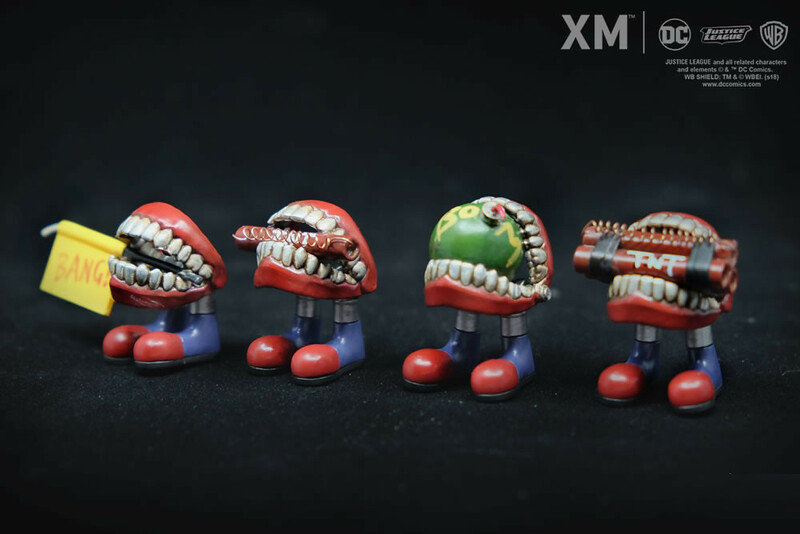 The statue comes with 8 Mini Mad Chompers, featuring 4 unique designs!